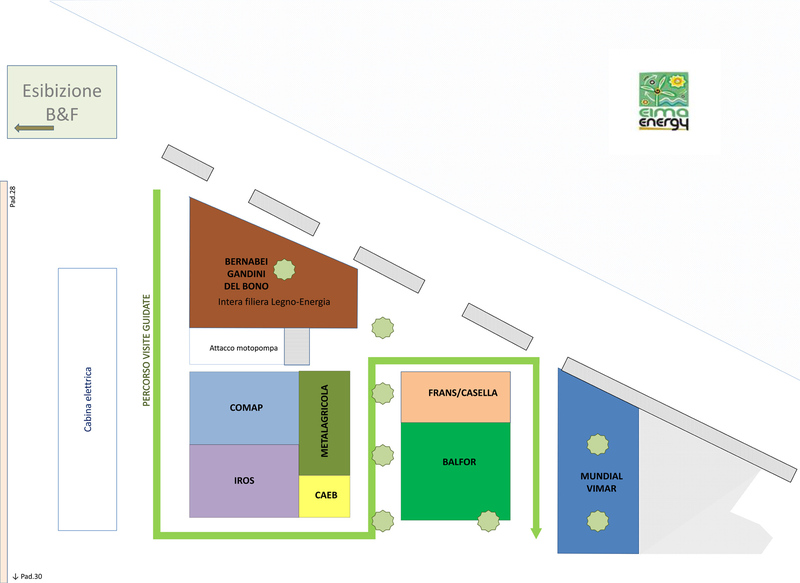 The EIMA Energy Salon close to the Pavilions 30 and 28 is preparing a dynamic exhibition of the principal machinery in operations used for harvesting, conditioning and transport of biomass of agricultural and forestry origin for generating energy. With this initiative the intentions are to create within the trade fair phases of the salient operations in the field and in the platforms for the harvest of wood. Another purpose is to bring information and entertainment together by showing the public the quantity of research, technology and work which goes into the biomass production supply chain. These activities coordinated with CNR IVALSA, the Institute of Wood and Trees Species and ITABIA, will provide time for animation at various times over the day during the entire run of the trade fair. The exhibition includes a long guided course with descriptions of starting the machinery for harvesting and treating agicultural residues, the transport of wood, work on firewood and chipping tree trunks and shredding residues and the like.